Donna Fitzgerald, Research VP with Gartner, shares insights from the Gartner 2011 PPM and IT Governance Summit. The state of the Art on What’s Hot and What’s Not in PPM and IT Governance. How EPMO is different from an Enterprise-wide IT-focused PMO. Understanding Agile in the Context of a PMO and how is agile evolving to mean more than just a “new way” of developing software. Donna is the role service director for the Program and Portfolio research area. Her responsibilities include helping companies improve their program and portfolio management capabilities. She uses her personal experience in setting up and running PMOs, as well as managing programs and project portfolios, to help clients work out the quickest and easiest path to success. Donna has 28 years of experience in the IT industry. Before joining Gartner, she started her career in finance, where she was responsible for the portfolio of development projects (both engineer and IT). She has set up PMOs, built communities of practice and run an agile development shop. She was also a product manager for two software companies, where she was responsible for the development of their project and portfolio management software. Can you give us an overview of the Program and Portfolio Management research area within Gartner and your role as Research VP? You will be presenting on 4 topics at the Gartner PPM & IT Governance Summit June 20 – 22, 2011 in San Diego. In the opening keynote, you will provide an overview of the State of the Art on What’s Hot and What’s Not in PPM and IT Governance. Without revealing any of the surprises you will be sharing with the audience, give us an idea of what to expect in this session. The other topic you will cover is Enterprise Program Management Office. Give us a brief overview on how EPMO is different from an Enterprise-wide IT-focused PMO and how the creation of a project culture plays a critical role in the effectiveness of an EPMO in supporting strategy execution. You will also lead a workshop about the Gartner ITScore Maturity Model for Program and Portfolio Management. What outcomes should attendees expect from this workshop? 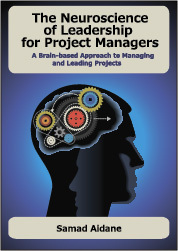 Finally you will help attendees understand Agile in the Context of a PMO. How is agile evolving to mean more than just a “new way” of developing software and why do so many organizations struggle with how to deal with Agile? My company, Automation Centre, is attending the show as an exhibitor, demonstration our own Web based project portfolio management system, TrackerSuite.Net. From what I’ve heard from our attendees, the show is terrific. Lots of great people (both attendees and other vendors), useful seminars (from our attendee with the full-conference pass), all in a really nice venue. Joe, Thanks for commenting. Yes, I look forward to attending the summit next year. it is always a great opportunity to meet lots of great people. Thank you again. Sicne my interview with Samad SharkPro Software reached Microsft World Wide Partner of the year finalist out of 3000 entries in PPM space. Samad has pull !Maybe Donna we could talk about all of our customners with you for feedback ? Greg, congratulations on reaching the Microsoft World Wide Partner milestone. This is another testament to the value that your team at SharkPro continues to bring to the PPM community.